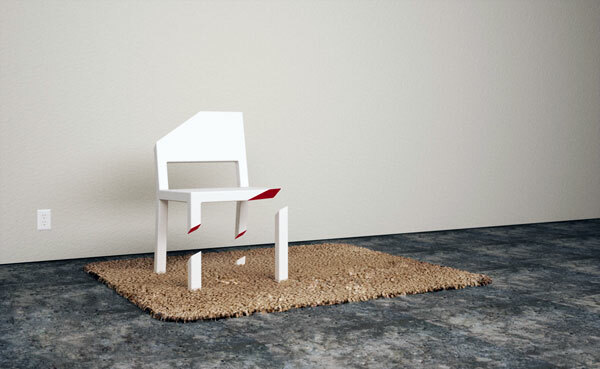 Peter Bristol created the perfect illusion – a functional chair with onlyone leg! 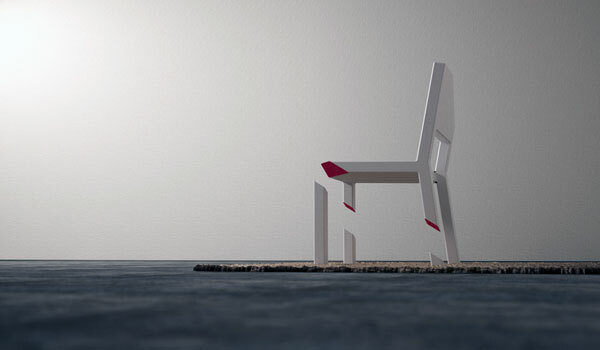 The chair i’s called the Cut Chair, and it’s is the latest work of designer Peter Bristol’s wonderfully twisted imagination. 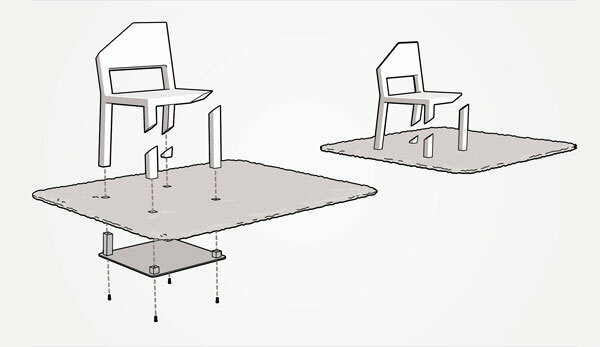 A reinforced beam anchored to a plate beneath the rug stabilizes the cantilevered seat while three cleverly placed dismembered legs give the illusion that the chair has just been magically sliced apart.